The keynote speaker, David Livingston, provided an informative and entertaining retrospective on the “History of the Willamette Valley & Coast Railroad Depot.” The presentation discussed the many organizations that were involved in an ambitious effort in the late 1800’s and early 1900’s that attempted to promote Newport as the “San Francisco of the north” and Corvallis as the rail-based partner in a shipping and freighting enterprise. Benton County honored Joan Demarest and Jon Pugsley for outstanding restoration of the 1880 Woodcock House and for building an addition that mirrors the historical architecture of the home. The Woodcock House is one of Benton County’s best examples of Italianate architecture. In 1975, to make way for the Law Enforcement Building local philanthropist Rose Kraft purchased the house and moved it to its current location on Pilkington Road. The main body of the house was maintained in close-to-original condition, except for an addition built in 1975. After working with their architects and the Historic Resources Commission, Demarest and Pugsley chose a historically sound solution and redesigned the addition. City of Corvallis Mayor Biff Traber presented Historic Preservation Certificates of Merit to Willamette Neighborhood Housing Services, Northwest Housing Alternative, and Carleton Hart Architecture in the Sensitive Rehabilitation category for the 1892 Julian Hotel. 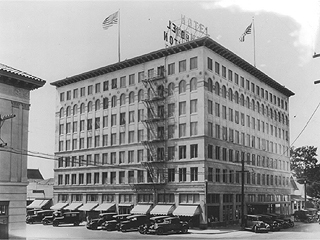 Traber stated that the award honored “all of the project partners in their significant efforts to save and restore the historic Julian Hotel with renewed life, preserving a vital presence within our downtown for years to come.” The Julian Hotel provides affordable housing that is integral to the character of Corvallis. Recognizing that preservation of historic buildings begins with good maintenance, the City of Corvallis honored Dan, Fred, and Bob Fulton with an Excellent Stewardship award for their work maintaining the John Rickard House located at SW 3rd Street and B Avenue. The brothers keep the property “well maintained and in good repair while operating the Rickard House as a rental residence,” observed Mayor Traber. Part of the brothers’ effort included a new roof and paint that is complementary to the structure’s architectural character and the era in which it was built. Oregon State University’s Strand Hall earned a Sensitive Rehabilitation and Historically Sympathetic Addition accolade for the work of OSU, Hennebery Eddy Architects, and Hoffman Construction. Designed by architect John Bennes, who designed many of OSU’s most notable buildings, the 1909 Strand Hall’s improvements addressed seismic resilience, accessibility and energy upgrades. The new west portico incorporated design elements that celebrate the building’s original design, balanced with the campus’ current needs. Nicole, Amy, and Todd Nystrom, along with Broadleaf Architecture and Bob Grant Construction received a Sensitive Rehabilitation award for their renovation of the Clothes Tree in downtown Corvallis. The group was inspired by photos of the 1920’s era First National Bank of Corvallis and chose a design that fit in with the downtown’s historic character. Removal of the 1960’s-era screen and signage allowed the family to repair original exterior features, such as the cornices and clock, and repaint. Mayor Traber also announced the 2016 Heritage Trees which include the Black Walnut grove at 5455 NW Crescent Valley Drive, and the Edith Yang Madrone at NW 30th and Lincoln. This year marks the 50th anniversary of the National Historic Preservation Act. 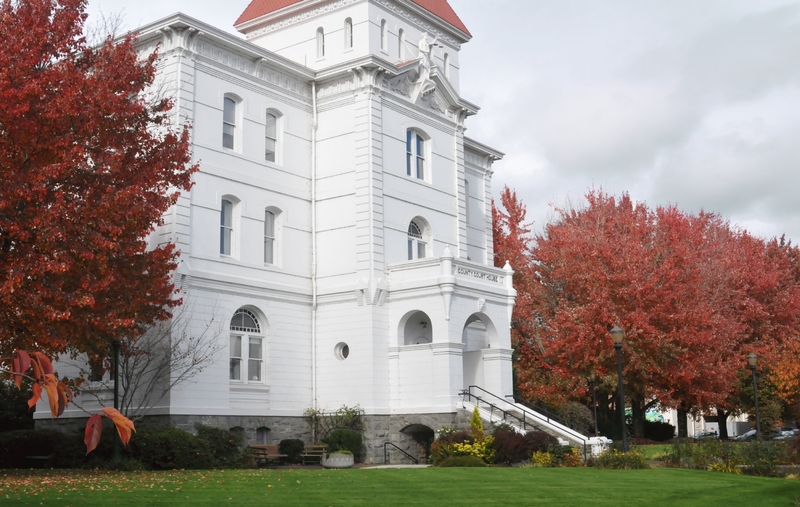 Locally the City of Corvallis and Benton County Historic Resource Commissions with cooperation from PreservationWORKS present activities that showcase outstanding examples of our shared heritage.